The dawn of the electronic media age in the 1960s initiated a cultural shift from the modernist grid's determination of projection and representation to the fluid structures and circuits of the network, presenting art with new challenges and possibilities. Artists have used the `space of flows' as a basis for creating utopian scenarios, absurd yet functional propositions or holistic planetary visions. Others have explored the economies of reciprocity and the ethics of generosity, in works that address changed conditions of co-dependence and new sites of social negotiation. The `infra-power' of the network has been a departure point for self-organized counter-culture and the creation of new types of agency. 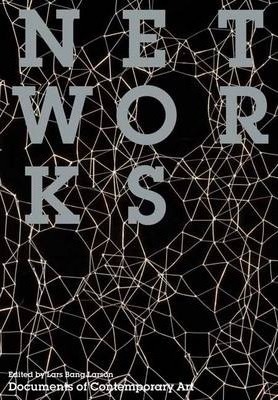 And a `poetics of connectivity' runs through a diverse range of work that addresses the social and material complexity of networks via physical structures and ambient installation, the mapping of the internet, or the development of robots and software that take on the functions of artist or curator. Artists surveyed include Joseph Beuys, Ursula Biemann, Roberto Chavet, Colectivo Situaciones, Critical Art Ensemble, Marcel Duchamp, Peter Fend, Gego, Hans Haacke, Koncern, Pia Lindman, Mark Lombardi, Marta Minujin, Aleksandra Mir, Tanja Ostojic, Lea Porsager, Arturas Raila, Pit Schultz, Hito Steyerl, Suzanne Treister, Wolf Vostell and Stephen Willats. Writers include: Pamela Allara, Lawrence Alloway, Roy Ascott, Jane Bennett, Hakim Bey, Luc Boltanski, Manuel Castells, Eve Chiapello, Jodi Dean, Gilles Deleuze, Umberto Eco, Okwui Enwezor, Alexander Galloway, Natasha Ginwala, Felix Guattari, Michael Hardt, Joasia Krysa, Bruno Latour, Geert Lovink, Noortje Marres, Marshall McLuhan, Marcel Mauss, Reza Negarestani, Antonio Negri, Sadie Plant, Lane Relyea, Ned Rossiter, Craig Saper, Saskia Sassen, Steven Shaviro, Tiziana Terranova, Paolo Virno and Vivian Ziherl. Introduction; Connectivity before and beyond the Net; The network as a mode of being; exchange is the oxygen capital; corruption, intrigue and covert solidarity; Biographical Notes; Bibliography; Index; Acknowledgements.